Boston, April 3rd, 2018 — As original members of PBS and National Public Radio, WGBH Television and Radio of Boston have broadcast histories as storied as they are long. When the venerable broadcast operations needed a way to streamline their facilities management, it turned to Xytech’s MediaPulse for facility and asset management. Erik Nordin, technical project manager at WGBH, said the user-friendly features of MediaPulse Sky, the software’s web-based user interface, is what first drew the station to the software. 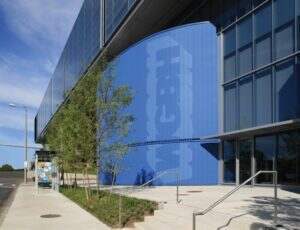 WGBH also chose to deploy MediaPulse in its Creative department, an area requiring some of the same scheduling and billing needs as WGBH’s existing MediaPulse users. WGBH worked with Xytech’s Director of Product Integration and Workflow Automation, Tanmay Goel, leveraging the MediaPulse Development Platform to quickly create a customized solution. Goel worked with WGBH’s team to roll out a custom configured front-end for its Creative users, letting them raise requests and scope out bodies of work. These requests are automatically converted to MediaPulse Work Orders so staff can schedule quickly and easily. The scheduled events are seamlessly processed into invoices significantly reducing the latency period. WGBH uses the MediaPulse Development Platform to take invoices and other financial transactions and post them into the station’s general ledger system. One feature set to catch WBGH’s attention was its speed to delivery with not only the station’s integration, but within MediaPulse as a whole. Xytech will be located in the South Lower 4305 at this year’s NAB Show Las Vegas from April 9-12. During the show, Xytech will demo its latest facilities management software Dash, along with its range of facilities management products. Those interested in scheduling an appointment may contact Alexandra Kuipers at akuipers@xytechsystems.com, + 1 (818) 698-4958.